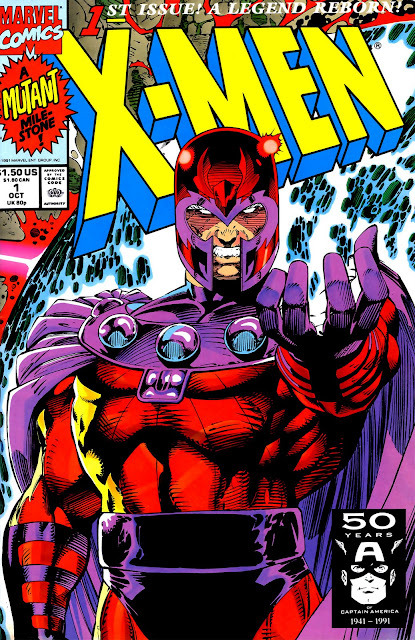 Jim Lee's image of Magneto, standing strong and smug on the cover of X-Men #1 is worth framing. 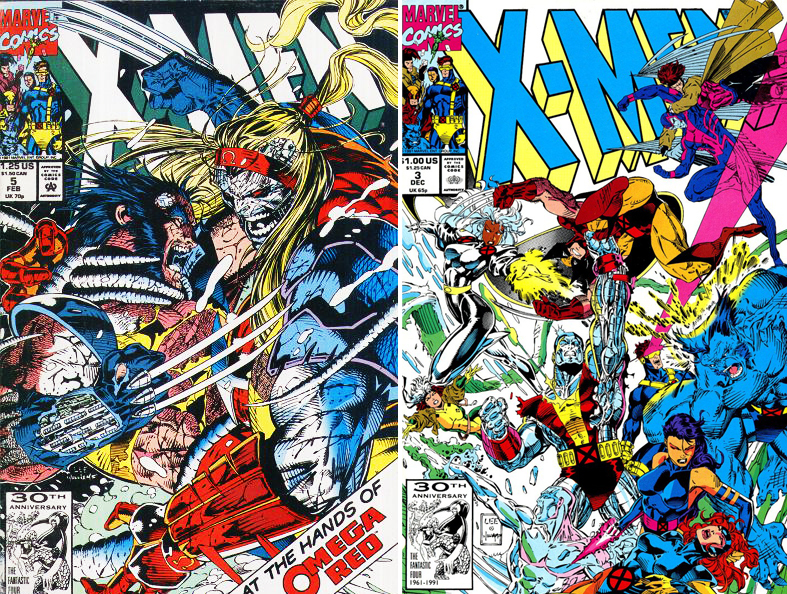 Having redesigned the lions share of the X-Universe he wasn't content at stopping there. I love how the logo is worked into the rock face. Ahh the brown and gold Logan - those were the days. Speaking of those were the days - Jim Lee's corner box art on this book was one of the best the industries ever had. Making that cast work in that small space - now that's talent. Damn Omega Red needs to make a come back. As for Storm vs Beast - who ever thought that one was fair? Still, despite Wolverine-mania hogging the majority of the covers, few could complain when others featured the likes of Psylocke side-by-side with Sabretooth and Bishop. 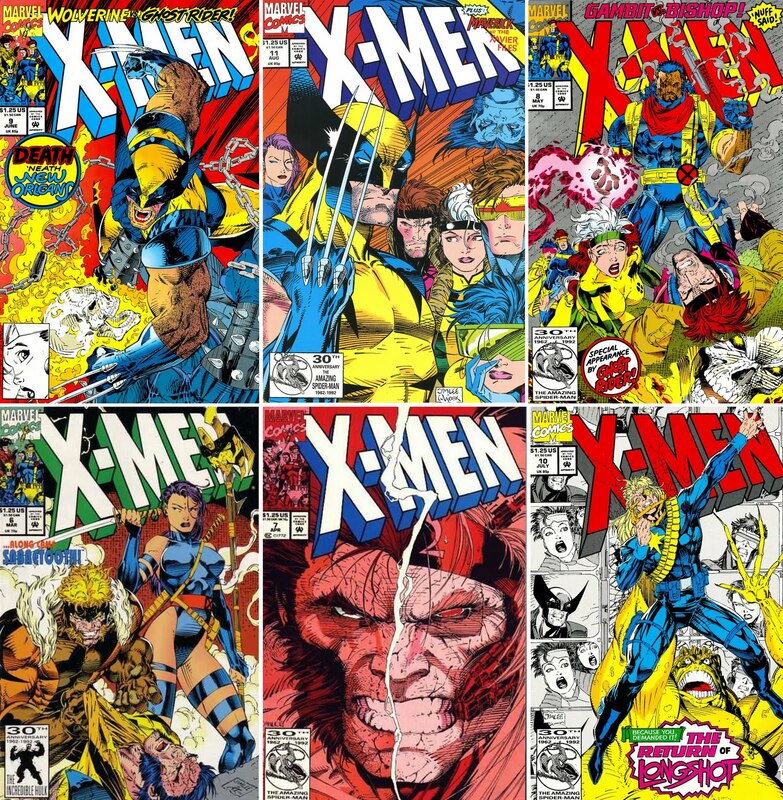 With so many made for poster moments, lets round out this run of covers with one that steals the air from your lungs just by looking at it. Piff, Magneto. Even with half an arm Psylocke could still take him. 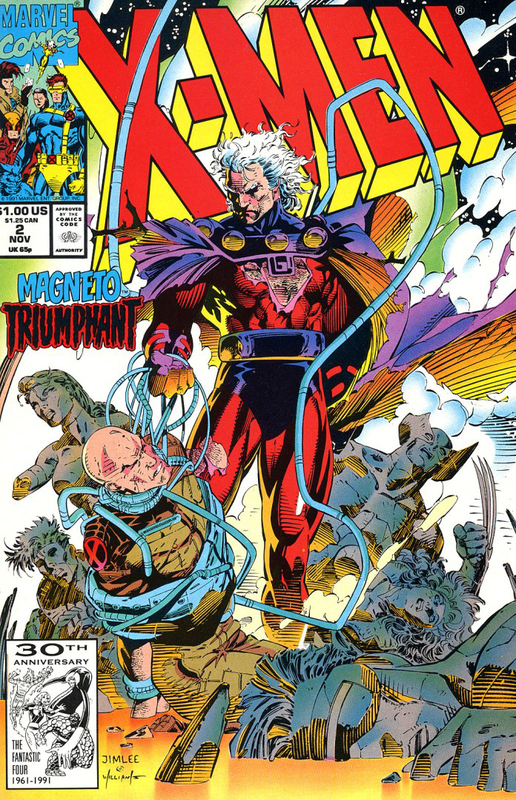 I remember that Magneto cover. I think that was one of my first comics. I redrew that Magneto and painted it on the interior wall of a friends garage/gym - it was awesome. I trimmed the colours back to just black and red and while I'm no Jim Lee - I thought it was a pretty decent homage. Hey Dan, wanna come do that to the side of my garage? I'll buy you beer. A beer for a painting? That sounds like a deal! Damn pacific ocean... always robs me of beer opportunities! If I had a garage I'd save a space for you too. That way you could spend a few more days stateside. Dan's US garage painting tour! I like the sound of that! On Randoms I could paint magneto and then on yours Craig on of Xavier's flock and when you take photos of each and put them side by side you'd see they form one giant battle scene! That would be cool.